Utility:- The satisfaction which a consumer gets from using/consuming a good or service. Total Utility:- The total satisfaction a consumer gets from a given commodity /service. Marginal Utility:- An addition made to total utility by consuming an extra unit of commodity. Sum of marginal utilities derived from various goods is known as total utility. It states that as the consumer consumes more and more units of a commodity , the marginal utility derived from each successive units goes on diminishing. Demand for a commodity refers to the quantity of a commodity which a consumer is willing to buy at a given price in a given period of time. Refers to a situation when he spends his given income on purchase of a commodity ( or commodities) in such a way that yields him maximum satisfaction. MU in terms of money = Price. entire income and price of two goods. Two IC never intersect each other. Indifference Map:- Group of indifference curves that gives different levels of satisfaction to the consumer. Marginal Rate of Substitution (MRS):- It is the rate at which a consumer is willing to give up one good to get another good. 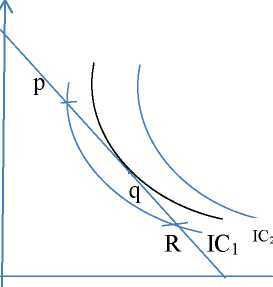 e., Marginal rate of substitution = ratio of prices of two goods. Demand:- Quantity of the commodity that a consumer is able and willing to purchase in a given period and at a given price. Demand Schedule:- It is a tabular representation which shows the relationship between price of the commodity and quantity purchased. 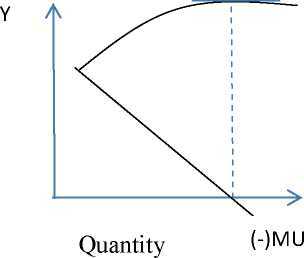 Demand Curve:- It is a graphical representation of demand schedule. Individual Demand: – Demand by an individual consumer. Normal Good:- Goods which are having positive relation with income. It means when income rises, demand for normal goods also rises. Inferior Goods:- Goods which are having negative relation with income. It means less demand at higher income and vice versa. Law of Demand:- Other things remains constant, demand of a good falls with rise in price and vice versa . Increase in demand:- more demand due to change in other factors, price remaining constant. Decrease in demand:- less demand due to change in other factors, price remaining constant. Increase/ favorable change in taste and preference. Rise in price of substitute good. Fall in price of complementary good. Decrease in price of substitute good. Rise in price of complementary good. Q. Explain the five degrees of elasticity of demand? 1. Perfectly inelastic demand: – Even with change in price, there is no change in the quantity demanded, the demand is said to be perfectly inelastic Ed =0. 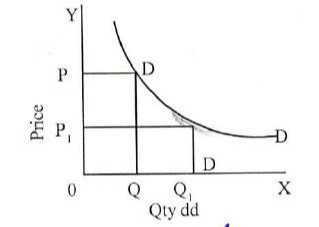 The demand curve is parallel to OY axis. decrease in price, there is unit increase or decrease in quantity demanded. 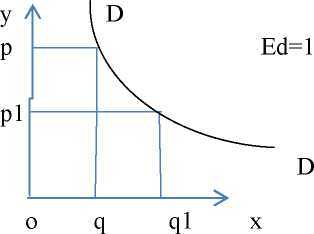 The demand curve resembles a rectangular hyperbola. Relatively more elastic: With a unit increase in the price, there is proportionately more increase in the quantity demanded. The demand is said to be more elastic. Q. The Price of ice cream is Rs.20 per cup and demand is for 200 cup. If the price of ice cream falls to Rs.15 demand increases to 300 cups. Calculate elasticity of demand. 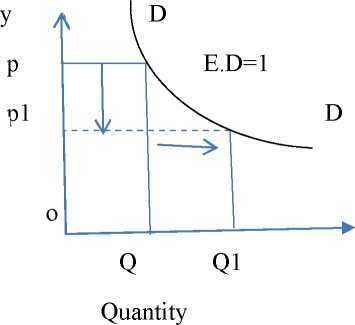 If with the fall in price, total outlay increases elasticity of demand is greater than one, if total outlay remain constant, elasticity is equal to one and if the total outlay decreases elasticity is less than one. 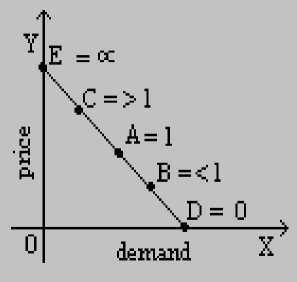 This measures the elasticity of demand at different points on the same demand Curve. What do you mean by utility? Ans Utility is the want satisfying power of a commodity. How is total utility derived from marginal utility? State the law of equi-marginal utility. What will you say about MU when TU is maximum? Give the reason behind a convex indifference curve. Ans :- Diminishing marginal rate of substitution. Give the formula for calculating the slope of the budget line. Suppose a consumer’s preferences are monotonic. What can you say about his preference ranking over the bundles (10,10),(10,9) and (9,9)? A rise in the income of the consumer leads to a fall in the demand for commodity ‘x’. What type of good is commodity ‘x’? What do you mean by substitute and complementary goods? Give two examples each. Ans :- Substitute goods are those goods which can be used in place of each other. Ex. Tea and Coffee. Complementary goods are those goods which are used together to satisfy a given want. Ex : Car and petrol. Mention one factor that causes a leftward shift of the demand curve. Ans :- Fall in income of a consumer. 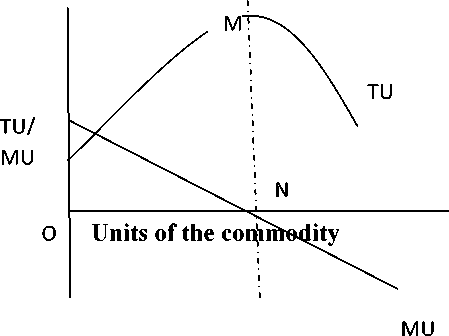 What causes a movement along the demand curve of a commodity? 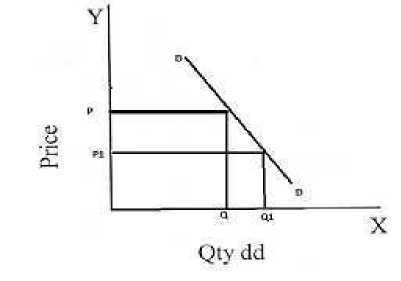 Ans :- When the price of a commodity changes and other factors remain constant, there will be movement along the demand curve. Ans: – A demand function shows the functional relationship between the quantity demanded and the factors on which demand depends on. Draw a demand curve with unitary elasticity. Ans :- It refers to the degree of responsiveness of quantity demanded to change in price. Explain the law of Diminishing Marginal Utility with the help of a table and a diagram. Ans :- The law of diminishing Marginal Utility states that as we consume more and more units of a commodity, the MU derived from the successive units of that commodity goes on decreasing. It is explained with the help of following schedule and diagram. When MU is positive TU rises. When MU is zero TU is maximum. When MU is negative, TU falls. What is meant by consumer’s equilibrium? State its conditions in case of two commodities approach. Meaning: A consumer is to be equilibrium when he is spending his given income on various goods and services to get maximum satisfaction. 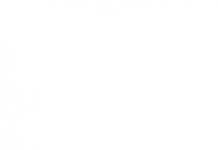 What is the difference between cardinal and ordinal utility analysis. Possible for a consumer to scale his preferences. Explain any four determinants of demand for a commodity. 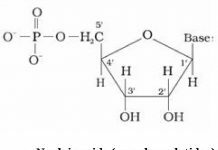 Ans :- Following are the three determinants of demand for a commodity. that commodity decreases and vice versa. commodity also increases and vice-versa. In complementary goods demand rises with fall in price of complementary goods. Taste & preference of the consumer: With favourable taste, demand increase and unfavourable taste demand decreases for a commodity. Draw a) perfectly elastic demand curve, b) perfectly inelastic demand curve and c) unitary elastic demand curve. 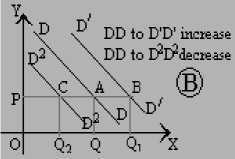 Explain any four factors that affect elasticity of demand. 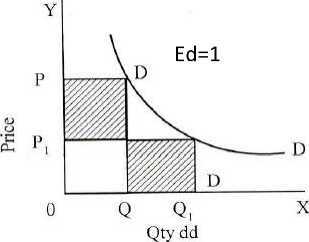 Ans Following are the factors affecting price elasticity of demand. 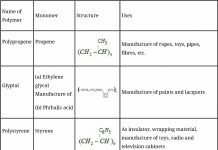 Availability of close substitutes: If close substitutes of product are available, the commodity tends to be more elastic, If there are not available, they tend to be less elastic. Proportion of total expenditure spent on the product:If the amount spent on a product constitutes a very small fraction of the total expenditure, then the demand tends to be less elastic of the amount spent is high the elasticity of demand tends to be high. Ans :- i) Demand for petrol is moderately elastic , because when the price of the petrol goes up , the consumer will reduce the use of it. Demand for text books is completely inelastic. In case of text books, even a substantial change in price leaves the demand unaffected. Demand for cars is elastic. It is a luxury good, when the price of the car rises, the demand for the car comes down. Demand for milk is elastic, because price of the milk increases then the consumer purchase less quantity milk. 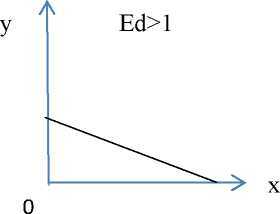 What is the relationship between slope and elasticity of a demand curve? How is equilibrium achieved with the help of indifference curve analysis? a) Definition: In the indifference curve approach, consumer’s equilibrium is achieved at the point at which the budget line is tangent to a particular indifference curve. This is the point of maximum satisfaction. ‘AB’ is the budget line. Consumers’ equilibrium will achieve where budget line (AB) is tangent to the IC2. Indifference curve must be convex to the origin or MRS xy should decrease. P and R points on budget line give satisfaction but they lie on lower indifference curve IC1. Choosing point ‘q’ puts him on a higher IC which gives more satisfaction. He cannot move on IC3, as it is beyond his money income. Explain the factors affecting the market demand of a commodity. Ans :- i) Meaning: Market demand is the aggregates of the quantities demanded by all the consumers in the market at different prices. Price of the commodity: When the price goes up demand for its falls and vice- versa. Income of the consumers: When the income of the consumers goes up the demand for a commodity also goes up. Substitute goods: Demand for a commodity falls with a fall in the price of other substitute good (Tea& Coffee). Tastes and preferences: Any favourable change in consumers’ tastes will lead to increase in market demand and any unfavourable change in consumers tastes will lead to decrease in market demand. Consumer’s group: More the consumers more will be market demand and vice- versa. Explain the various degrees of price elasticity of demand with the help of diagrams. Perfectly elastic demand (Ed r):- a slight or no change in the price leads to infinite changes in the quantity demanded. Perfectly Inelastic demand (Ed=0) :- Demand of a commodity does not change at all irrespective of any change in its price. 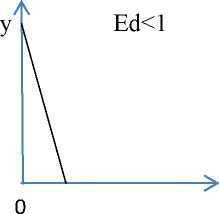 Unitary elastic demand (Ed=1):- When the percentage change in demand (%) of a commodity is equal to the percentage change in price. Greater than unitary elastic demand (Ed>1):- When percentage change in demand of a commodity is more than the percentage change in its price. Less than unitary elastic demand (Ed<1) :- When percentage change in demand of a commodity is less than the percentage change in its price. Derive the total utility schedule from the marginal utility. A consumer buys 50 units of a good at Rs. 4/- per unit. 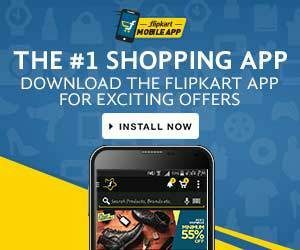 When its price falls by 25 percent its demand rises to 100 units. Find out the price elasticity of demand. Price elasticity of demand for wheat is equal to unity and a household demands 40 Kg of wheat when the price is Rs.1 per kg. At what price will the household demand 36 kg of wheat? Ans:- The price of wheat rises to Rs. 1.10 per kg. The quantity demanded of a commodity at a price of Rs.10 per unit is 40 units. Its price elasticity of demand is -2. Its price falls by Rs.2/- per unit. Calculate its quantity demanded at the new price. Why an economic problem does arises? What are the central problems of an economy? Distinguish between ‘micro’ and’ macro’ economics. Why PPC is Concave from the origin. Explain the central problem of how to produce with the help of an example. What is an indifference curve? A consumer consumes only two goods. 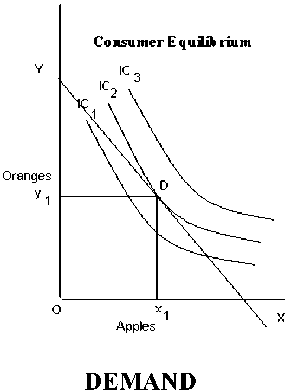 Explain the conditions of consumer’s equilibrium with the help of IC analysis. For a consumer to be in equilibrium, why must MRS be equal to the ratio of price of two goods? What is an indifference map? Explain the law of demand with the help of diagram and schedule. Distinguish between the change in quantity demanded and change in demand. 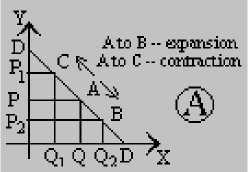 Explain any three factors or determinants of demand. 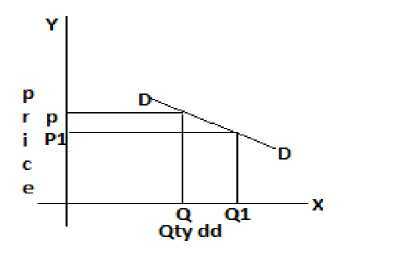 Explain the price elasticity of demand through geometric method. Explain the properties of indifference curve. Why can not two indifference curves meet each other? Why is indifference curve convex to origin? Why does higher indifference curve gives higher levels of satisfaction?